Walking around the Disney Resort we almost always have a destination in mind. Maybe it’s time to ride Soarin’ Over California (soon to be Soarin’ Over The World), or maybe we are headed to cool down on Grizzly Peak. 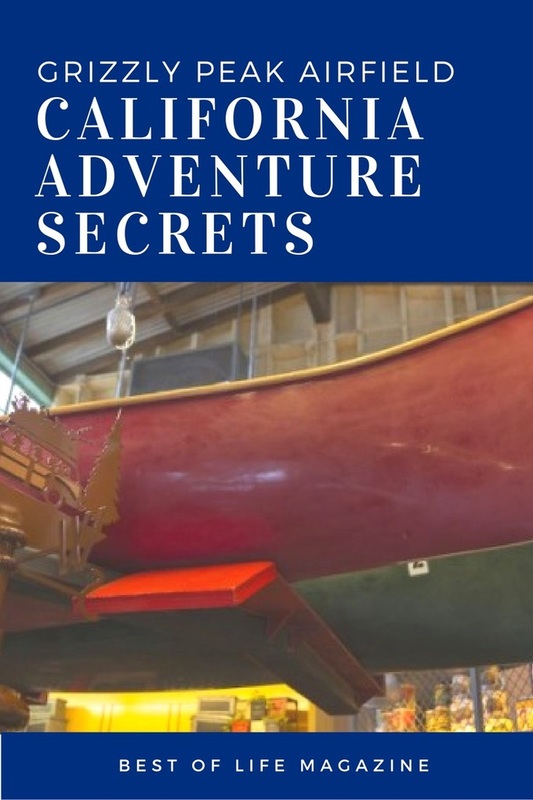 No matter what we’re headed to do, we need to slow down, find the Disney California Adventure Secrets, and take in the story that’s unfolding around us. Every part of the park is a new tale we step into; it’s our job to fill the pages with our own story. What once was an airfield, industrious and as cold as metal, is now a warm inviting road trip through nature filled parts of California. Condor Flats has shed it’s metallic coating and is now Grizzly Peak Airfield, and is filled with Disney California Adventure secrets to help tell your story. There once was a rocket jet that used to spray passerby’s during hot days. Now, Grizzly Peak Airfield is more concerned about fires during those hot days. In order to prevent the spread of fires, Mount Muir lookout is ready to keep an eye out for flames. If you look up, you’ll see a red phone and a pair of binoculars. These items show the attention to detail Imagineers have in their tool belts. The new Airfield is set in the late ‘50’s early ‘60’s, and there was plenty of Disney news back then. In order to not get too “preachy”, Disney has added subtle hints to the past when Walt Disney himself lent a helping hand to nature. There is a bulletin board under the lookout with some fire prevention posters from back in the day. Can you recognize anyone in those posters? Grizzly Airfield is complete with its own park map. 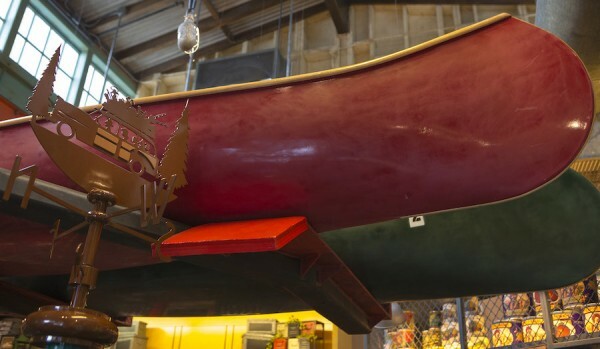 On the map, you’ll find many different trails and lakes each with their own names. One such trail is a nod to the famous men who worked alongside Walt himself. Keep an eye out for “Whistling Sherman Trail”, a nod to the Sherman brothers, who wrote many of the classic Disney tunes we whistle daily. This next secret is not a dedication to Mowgli’s friend Baloo, but rather a different bear. In Grizzly Airfield, there is a supplies store called Humphrey’s Service & Supplies. The store is named after Humphrey the Bear who was created in the Walt Disney Studios in 1950. Humphrey was one of the few characters to get his own personal series of cartoons that opened with their own logo. The only other characters to get their own opening sequence includes Mickey Mouse, Goofy, Donald Duck, Pluto Chip’n’Dale and Figaro. Now Humphrey the Bear calls Grizzly Peak Airfield home. 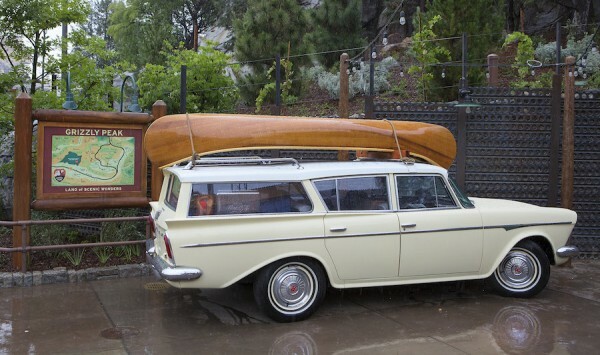 Upon leaving Buena Vista Street and entering Grizzly Peak Airfield, you’ll notice a Station Wagon from the 1950’s, another of the many Disney California Adventure Secrets. The car is filled with luggage ready to take a trip through the mountains. Take a look at the license plate on the wagon and you’ll see “RED 110”. The letters and numbers on the license plate stand for Roy Edward Disney, Walt Disney’s nephew. The numbers stand for when Roy was born, January 10th. Roy first worked for Disney as the assistant director and producer on the True-Life Adventure documentaries. 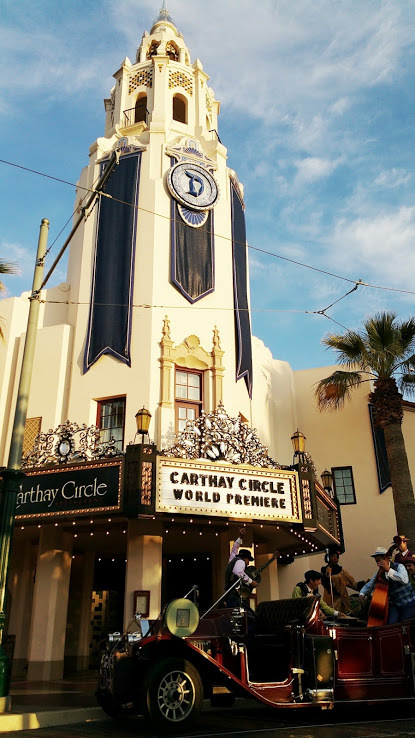 These documentaries focused on Nature and is why Roy has earned a special spot in Grizzly Peak Airfield. A fun little fact to share with those around you and show your knowledge of Walt and his family. Any trip you take to the Disneyland Resort is more special than you may realize. Walt shared his vision with us and we fell in love, but more importantly, he let us into his family. Walt allows us to walk through his imagination, his thoughts, likes, passions, and hobbies. We just need to open our eyes and pay attention to everything he is trying to tell us. Once we do and find these Disney California Adventure Secrets, we open a whole new world of Walt Disney.